It is light and mesh and breathability seems to be good. This review is about item#40521817. It is also light and easy to make for the price, I think whether there is no problem to use as a safety shoe normally. 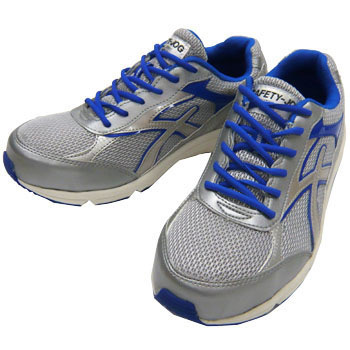 I can not evaluate much because of search purchase from electrostatic shoes this time. Although it may also depend on work clothes etc., static electricity flutters from hands and feet. I think that it is better to remove it from the items of electrostatic shoes. This review is about item#40521966. Safety Sneaker, "Mandom Safety #717"